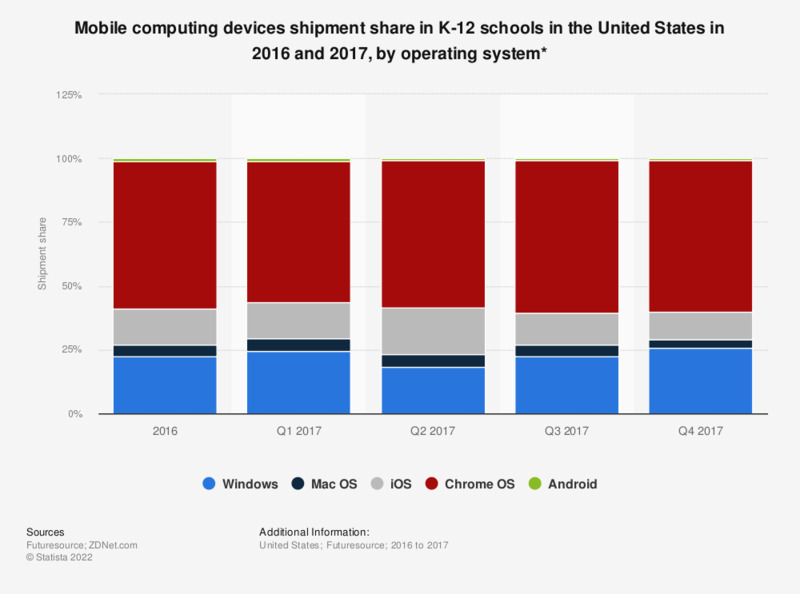 This statistic shows the shipment share of mobile computing devices in K-12 schools in the United States in 2016 and 2017. In the fourth quarter of 2017, the Chrome OS-based Chromebook dominated the U.S. K-12 market with a market share of almost 60 percent. K-12 institutional purchases only, not including "Bring Your Own"